NM Dragan Milovanovic and I tied for first place in quad one, at yesterday's Hamilton quads, with identical scores of 1-0-2. 35.g4 hxg4+ 36.Kxg4 Rg2+ 37.Kh3 Rg1 38.Rd5 f5 39.Rd3 Kf6 40.Rd6+ Kg7 41.Rd2 Kf6 42.Rg2 Ra1 43.Rf2 Ra3+ 44.Kh4 Ra8 45.Rb2 Rh8+ 46.Kg3 Rg8+ 47.Kf3 Rh8 48.Rb6+ Kf7 49.Kg3, draw. 31.Nc2 a3 32.bxa3 Bxa3 33.Ncb4 Bxb4 34.Nxb4 Ra3 35.g4 Ra8 36.f4 Rd8 37.Kf2 Rd6 38.Ra2 h5 39.gxh5 gxh5 40.Ra8 Rd7 41.Rb8 Rc7 42.Rxb5 Rxc3 43.Nxd5 Rc2+ 44.Kg1 Nxd5 45.Rxd5 Rd2 46.Rxh5 Rxd4, draw. 52.Re6 Rf1+ 53.Kd2 e3+ 54.Ke2 Rf2+ 55.Kd3 Kg4 56.a5 Kf5 57.Re8 Rd2+ 58.Kc3 Rd6 59.b4 Rc6+ 60.Kb3 Re6 61.Rxe6 Kxe6 62.Kc3 f3 63.Kd3 f2 64.Ke2 Kd5 65.a6 Kc6 66.c4 Kc7 67.b5 Kb6 68.c5+ Kc7 69.a7 Kb7 70.b6 Ka8 71.Kf1 Kb7 72.c6+ Ka8 73.c7, Black resigns. These photos were snapped by me on Sunday at the Westfield quads. 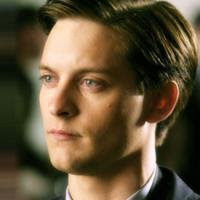 Actor Tobey Maguire may play the role of Bobby Fischer in the film Pawn Sacrifice. In a Guardian article, Garry Kasparov warns Europe against getting cozy with Russia. 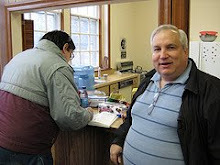 These pictures were taken by me on Saturday during the New York February Action tournament at the Marshall Chess Club. IM Jay Bonin and Larry Tamarkin get set to play round one. NM Oliver Chernin prepares for the first round, while TD Steve Immitt makes an announcement. On the left is Miguel Garcia, my opponent in the opening round; on the right, FM Boris Privman. Here is blogger Polly Wright, between rounds one and two. Meanwhile, Ilan Kreitner analyzes a position. On Friday, I received this e-mail from Dave Fulton. He was my editor at The Castled King, which was superseded by Atlantic Chess News in the 1980's. 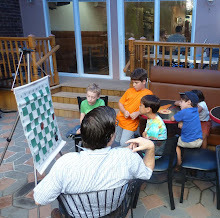 Thanks for posting the bit about the Montclair Chess Club from Stewart White. 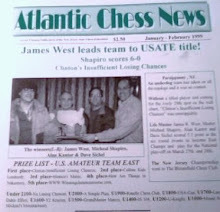 As you will remember, I was fairly active in the Montclair Chess Club and started helping Mel Benson run things after Al Greuter moved to Maryland. 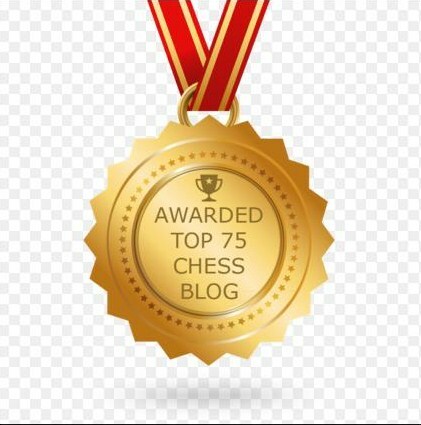 Anyway, I do enjoy reading your blog which helps me keep up with chess happenings now that I live in Oregon (not quite as remote as Montana but still more than an hour to the nearest chess club). The stories and pictures, not just the games, are of interest. I hope you keep up the good work for a long time. 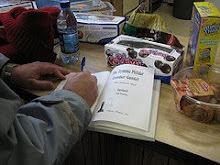 Not only were you active in the Montclair Chess Club, you founded the Greater Somerset County Chess Club as well! At yesterday's quads in Westfield, I drew the following game. 30.Bc1 e5 31.Qd5 Qb6+ 32.Qc5 Qd8 33.Qd5 Qb6+ 34.Qc5 Qd8 35.Qd5, draw. On Thursday, I received this e-mail from Matt Phelps, who lost to my teammate Ziping Liu in the final round of the USATE 2010. Thanks for posting my last round game with Ziping (really!). I can't remember if I explicitly congratulated him for the cleverness of the mating attack. Please convey that to him if you get the chance. Let's hope we all meet again next year, but this time on board 1 for all the marbles! As Ziping's chess teacher, I can tell you that it is the best game he has ever played! 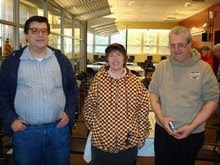 In today's game/30 Swiss at the Marshall Chess Club, my final score was 2-1-2. 49.Ra3 Rc4 50.a6 bxa6 51.Rxa6 Rxg4 52.Rff6 Rf4 53.Rg6+ Kf7 54.Rxg5, draw. 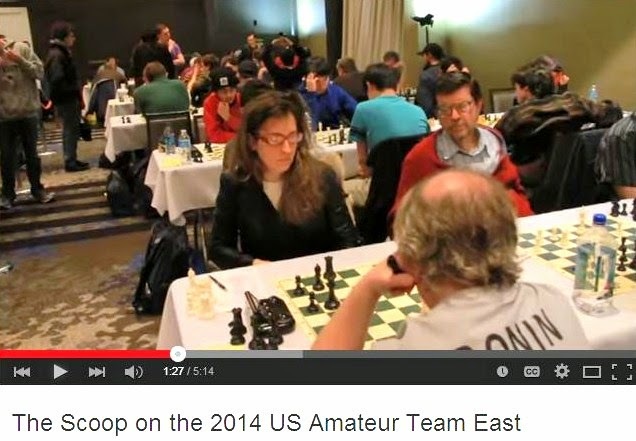 Here is a video of the simul in Pitman NJ by WIM Alisa Melekhina on January 31st. Last Friday, I received an e-mail from Stewart White. Here it is, slightly edited, along with my response. My name is Stewart White. I met you back in the mid-1970's at the YMCA in Montclair NJ. 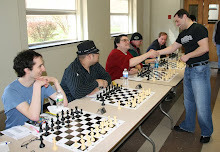 It was at a tournament run by the Montclair Chess Club when the late Mel Benson was in charge. Al Greuter was the tournament director. I always remember how kind you were to me. Being a lower rated player, I was having a bad time there. I played in one game a Giuoco Piano and didn't know what went wrong. You came along and analyzed the game with me. You were so helpful! I never thanked you, but I thank you now. I saw you at some other tournaments, but you were playing. So I never got the chance to talk to you. I see that you live in Kearny NJ. I lived there many years ago. I moved to Bloomfield NJ some time later. My brother Earl White still lives in Kearny on Chestnut Street. I live out west in Montana. 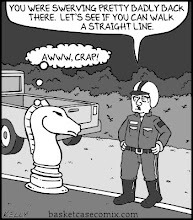 Needless to say, there are no chess clubs where I'm living, and I haven't played in years. 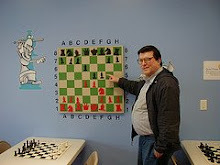 I used to play at the Bloomfield chess club during the 1970's, 1980's, and early 1990's. That was when Dave Kilbourn, Ed Koss, Bob Szendroi, and Larry Schwartz were there. Well, thank you for everything. I can't honestly say that I recall analyzing with you, but I do remember playing chess in Montclair at Saturday quads and at the North Jersey Chess League on Thursday nights. Seemingly all the time at tournaments, people tell me that they played against me years ago, and my mind draws a blank. My favorite story along these lines happened in 2001. The Manhattan Chess Club was in its final year of existence on the 15th floor at the New Yorker Hotel. After a tournament, I was in the underground garage across the street retrieving my car when a faraway voice called to me. Here is our conversation, hollered from one end of the garage to the other. 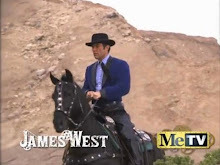 Guy in garage: "Hey, Jim West! Are you still playing chess?" 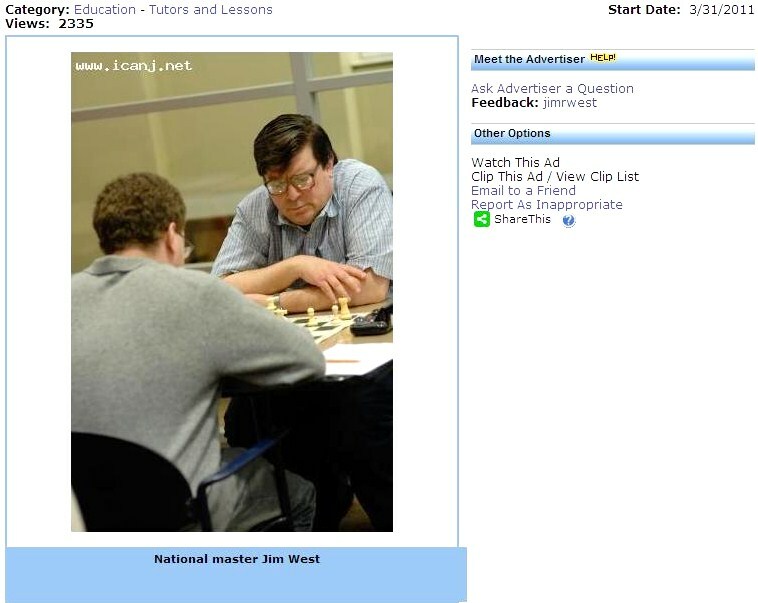 West: "Yeah, I just finished playing at the Manhattan Chess Club." Guy in garage: "Do you remember the game that we played twenty years ago?" Guy in garage: "You did. I sacrificed a pawn, but it was unsound." West: "Yeah, now I remember." To tell you the truth, I have no idea who the guy was. And I was getting strange looks from the other people in the garage! 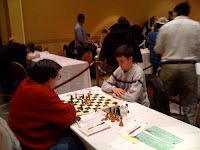 My team Insufficient Losing Chances made it to table 10 for the last round of the USATE 2010, with a record of 4-1-0. But, in the final match, we lost on our top three boards. Playing Black on board one, I missed a good move in my game against Denys Shmelov [USCF 2468], pictured above. In this position, I should have played 22...Bd3! 23.Rxd3 Bc7 24.Bd4 Qd6 25.g3 Bb6 with a slight advantage. Our only victory happened on board 4 where Ziping Liu won with a mating attack that involved two knights and a pawn. 32.Ne8+ Kh6 33.Kg4 Bxa8 34.Ndf6 g5 35.Ng8+ Kg6 36.f5#. On Monday, these pictures were taken by me during day three of the USATE. Rohde - West @ "Contre Gambit Philidor"
Dattatreya - West @ "Contre Gambit Philidor"